Gerard Klein is one of the most distinguished French science fiction writers and his work is fantastic, by which I mean that I’ve yet to read a story of his that I didn’t like. He’s got a certain je ne sais quoi if you will. Yes, I went there. “The Valley of Echoes” reminds me of parts of Interstellar, particularly the scenes with Matt Damon before and after he goes psycho and tries to kill Matthew McConaughey. Damon’s character had been abandoned by his team, left alone in outer space. And it’s natural for your brain to spin off into a little bit of a psychosis when you’ve been abandoned on a foreign planet in another galaxy right? No? Maybe? The three astronauts in “The Valley of Echoes” don’t engage in a dramatic fight scene that takes place on the edge of a Martian cliff, but throughout this story you get the feeling that the men are at their breaking point nonetheless. The narrator and his fellow astronauts, La Salle and Ferrier, are on Mars searching for signs of the existence of civilization. Anything, really, that would indicate life, past or present. They spend their days driving a tractor all over Mars, stopping to take measurements which they then send back down to Earth. It is a lonely life they are living. It’s also a quiet life. 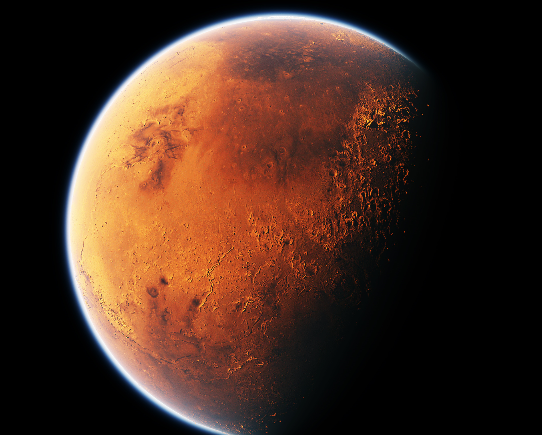 The air on Mars is such that they cannot hear any of the sounds that it transmits. Unless they are speaking to one another, all is silent. One day they come across a cliff they’ve never seen before, and upon approaching it they are rushed with the unmistakable sounds of whispers. Drunk on the sounds, on the thought that life may exist just on the other side of the cliff where surely the bodies of these voices were waiting, the three men race forward and in to the valley where the whispers grew loudest. But no one was there. La Salle, astonished, called out a hello and the voice that answer was…his. Ferrier, overcome by the realization which all men shared in discovering, runs through the valley, distraught. Cue evil-Matt Damon scene… But his body breaks the barrier, it disrupts the sounds of the echoes and slowly, slowly, they recede until they are gone. Silence, again. The unbearable, unshakeable silence of Mars, this time, for good. Thank u for some amazing Posts! I’ve nominated you for a Creative Blogger Award! This sounds really terrific. I’ve only recently started reading Sci-fi again. I’ll check this out.